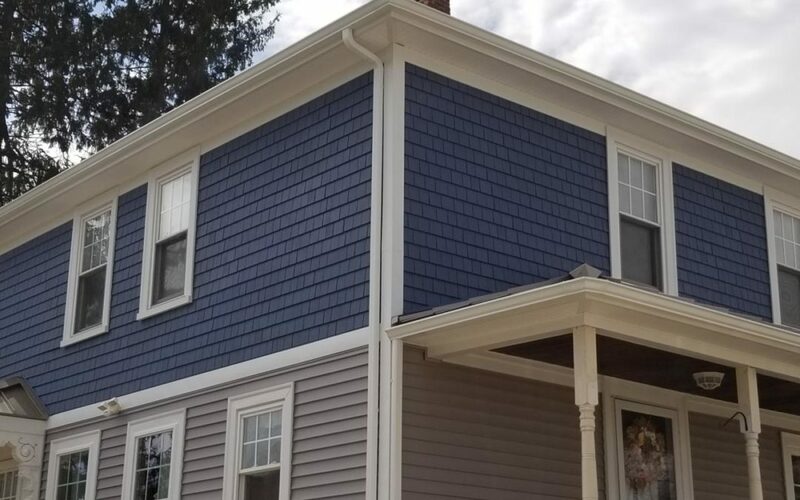 This Cumberland, RI homeowner got a gorgeous exterior makeover with a GAF Roofing System and Mastic Vinyl Siding! Roofs are a very important part of protecting your home from leaks and damage, so making sure you get a great quality roof on your home should be at the top of your list. 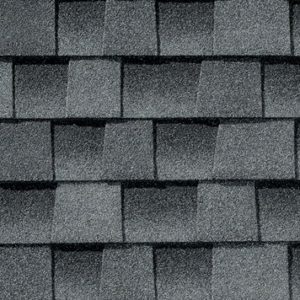 GAF Timberline HD Roofing Systems are North America’s best-selling roofing shingles for good reason, they are durable and practically priced. So, installing a GAF Roof in the color, Oyster Gray like this homeowner will ensure your home is protected from the elements. It has a 130 mph wind rating and Dura-Grip Adhesive which helps keep shingles in place so you no longer have to worry about shingle fall off. 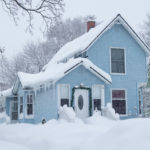 It also has Cobra Ridge Vents which protects your home from ice dams and helps with ventilation. Lastly, as an award-winning, GAF MasterElite contractor, customers will enjoy the peace of mind that comes with a factory registered, 50 year, non-prorated warranty. 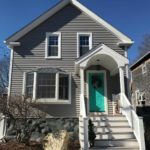 This homeowner also had us install Cedar Discovery in the color, Newport Bay and Mastic Carvedwood 44 Vinyl Siding in Harbor Grey to add unique curb appeal to their home! Making the switch over to Vinyl Siding like this homeowner is a great way to create a more maintenance free exterior for your home. Both types of Vinyl Siding have a deep rich realistic appearance with random grooves to mimic the look of natural cedar siding, but it does not need to be repainted or resealed every few years like cedar making it a hassle-free product! Homeowners also do not have to worry about dents or chips on their siding, because it is built tough to withstand whatever is thrown at it. Mastic also has beautiful accent options, colors, and styles to choose from, so you can have the exterior you always dreamed of. Looking to get your own exterior maintenance-free makeover? Care Free Homes has been in business for over 40 years, providing homeowners with quality products and great customer service. 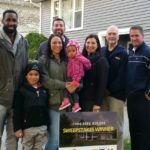 Get a FREE quote by calling (508) 997-1111 or contact us online.